Whatsecrets are hidden in her past . . . ? Jewelrydesigner Garet James is still coming to terms with the astoundingrevelation in BLACK SWAN RISING that she is the last in a long line of womensworn to protect the world from evil. Now she has received a signfrom Will Hughes, the 400-year-old vampire who once helped her defeat theevil threatening to destroy New York City. Hughes, tortured by hisown violent history which is vividly reenacted here, has asked her to joinhim on a quest to rid himself of his curse of vampirism. Whilelooking for Will in Paris, Garet encounters a number of mysteriousfigures-an ancient botanist metamorphosed into the oldest tree in Paris, agnome who lives under the Labyrinth at the Jardin des Plantes, a librarianat the Institut Oceanographique, and a dryad in the Luxembourg Gardens. Ireceived The Watchtower in the maillast week. I will freely admit that I decided to read it purely because I likedthe cover art. I didn’t realize it was part of the dreaded urban fantasy genreuntil I started reading it. Then I looked at the back and saw the word“vampire” and kind of rolled my eyes, wondering what I had gotten myself into.However, that being said, The Watchtowerwasn’t what I expected once I put all of the pieces together. It’s a differentkind of urban fantasy, and that’s probably the only reason I actually read it. The Watchtower has a different feel thanthe other urban fantasy books that drive me absolutely crazy. The protagonistisn’t a tough-as-nails heroin who has been jaded by her past and is covered inamazing and mysterious tattoos. Instead, Garet is a jewelry designer and thefeel of her throughout The Watchtoweris that she’s an average woman trying to make it, just like everyone else inthe world. That’s the benefit of the book. She’s understandable, relatable and,more importantly (and rarely for Urban fantasy), she’s realistic. She’s thewoman’s woman and it doesn’t stretch the imagination to picture her walkingthrough the streets of Paris trying to unravel her mystery and find that whichshe is trying to find. Furthermore,the book is absolutely filled with fae, unique and interesting characters thatseem to only be limited by the author’s imagination. For example, one fae, whoreally interested me the most, is a hybrid between an octopus and a mer fae.Basically, the world is interesting, and the fae just add to it. As Garet makesher way through Paris meeting new and almost impossible seeming creatures, shealso learns a lot more about the history of the Summer Country and how thataffects, and blends into the modern world. Carroll has managed to not onlycreate a very interesting world filled with interesting characters, but also animpressive sense of history that adds some great depth to Garet’s story. Thatbeing said, The Watchtower is thesecond book in a series. I haven’t read the first book, Black Swan Rising, and I wouldn’t have read this one except thepaper that Tor sent along with the book said that this one could be read as astand-alone. While The Watchtowerdoes work as a stand-alone book, I did feel like I had missed some of thebackground, or attachment I would have had to the overall work if I had read Black Swan Rising, first. My futureplans are to find Black Swan Rising,read it and then give this book a second chance to see if my opinions of it change,or my attachment to it deepens, which I think will probably be the case. Despitethe fact that I did like this book, there was a problem with it that did effect my overall enjoyment of it. The book is written withalternating chapters. Every other chapter is the story of Garet looking for thepath into Summer Country. The chapters between are the stories of the vampireshe’s looking for, Will Hughes, and his life story starting in the 1600’s andleading up to how he was turned into a vampire. While Will’s story isinteresting, the writing of these chapters is my main complaint with the bookas a whole. Iunderstand the author’s desire to put forward a feeling of time and place forthe reader. In order to make the 1600’s stand out from modern day Paris,Carroll had to infuse Will’s chapters with unique prose and ways of speaking.However, there’s a line an author can easily cross between infusing a book witha sense of time and place and beating the reader over the head with it. I’m afraidthat Will’s chapters seemed almost nauseatingly theatrical. Thus, I foundmyself skimming Will’s chapters so I could get back to Garet’s. This isunfortunate because Will’s story was really interesting, but the writing of hischapters really hindered my ability to enjoy them fully. The book, overall, does lag. The plot starts out nicely paced andrather interesting, but then it quickly slips into an impressive drag. The plotstays interesting, but it just feels like it takes twice as long as it shouldto really get anywhere. 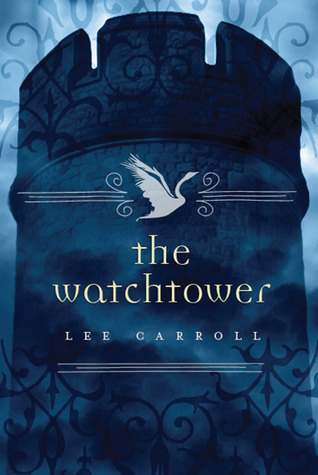 It’s another unfortunate aspect to The Watchtower, because if the plot had been faster paced, andperhaps the book lacked a little of the overall length it would have reallybeen an improvement. Furthermore, there are some campy plot points, like theill fated love between the vampire and the mortal woman, and the idea of amortal woman who has been singled out by a mysterious past for somethingimpressive. Overall,I was actually surprised by how much I enjoyed The Watchtower. While it did have its problems, compared to about90% of the other urban fantasy books populating the shelves, this one standsapart. The world and history is fascinating. The characters are believable andif the plot does lag and the writing between Garet and Will’s sections doesseem rather unbalanced with quality, I’m sure readers following this serieswon’t mind. The story is solid, the plot is interesting and, overall, The Watchtower is a unique addition tourban fantasy shelves. It’s a series fantasy fans who are tired of the currenturban fantasy trends should watch out for. Previous PostDiscussion: What are your favorite children’s book?